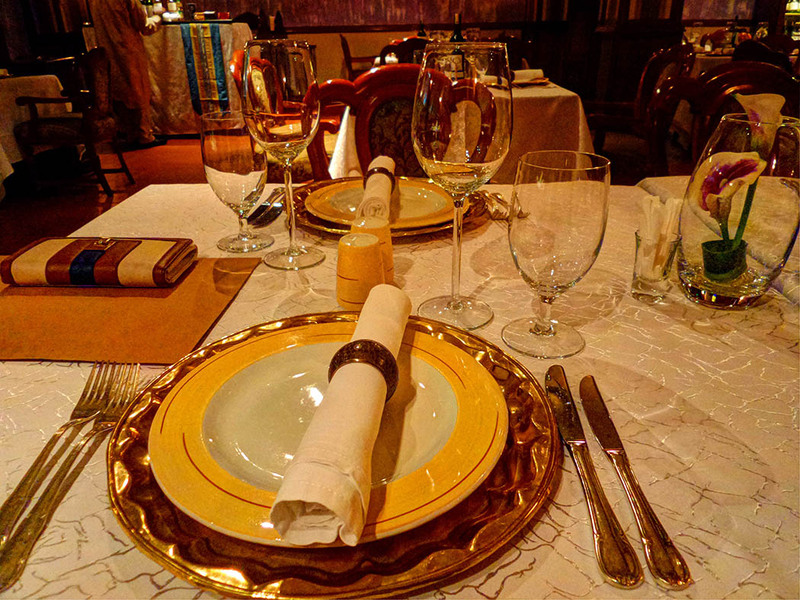 I happen to love food almost as much as I love travel, so I’m thinking of adding a new feature to the blog – restaurant reviews. 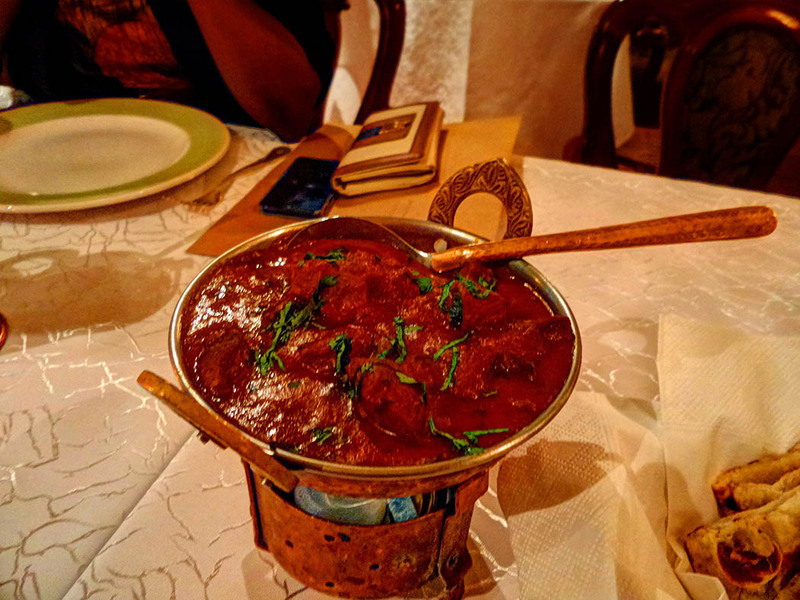 My first review is the Bhandini restaurant. 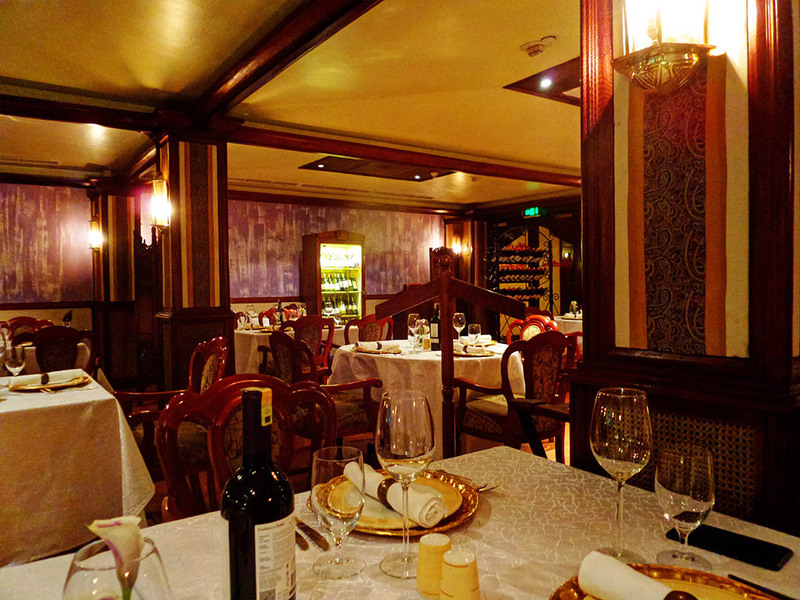 The restaurant is situated inside the Intercontinental Hotel Nairobi and specializes in Northern Indian cuisine. 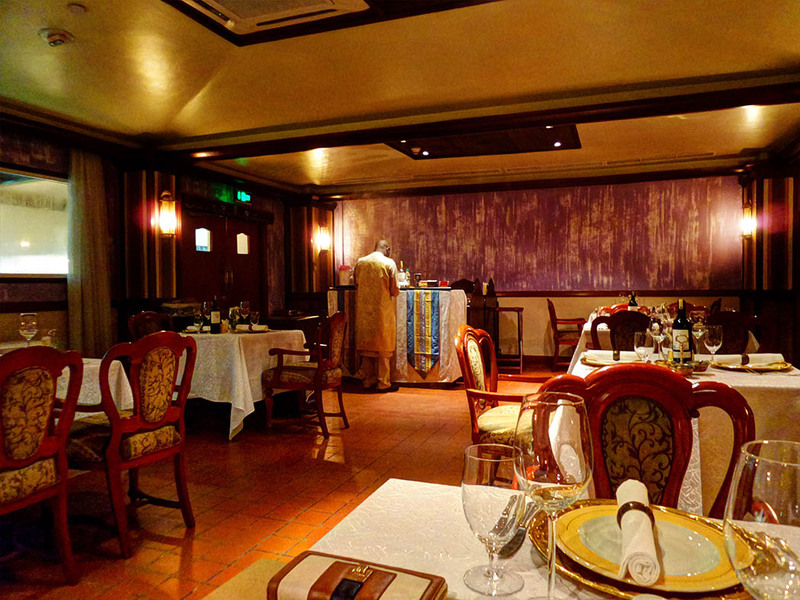 The name of the restaurant, Bhandini, refers to a type of tie –dye technique practised mainly in the states of Rajasthan and Gujarat (India). It is derived from the Sanskrit word banda, which means to tie. We (I went with my brother) were there by 12pm as the restaurant was just opening. The ambiance is lovely. 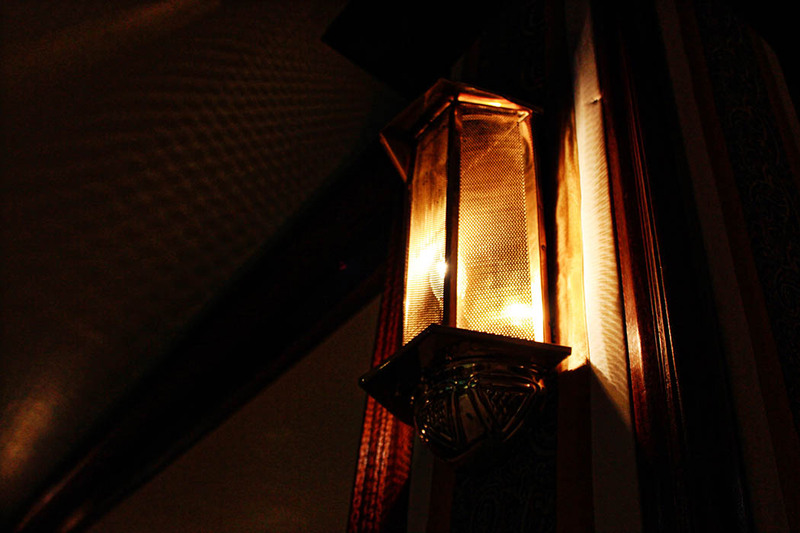 The lighting is perfect (for a date, he he he) and the décor is tastefully done. 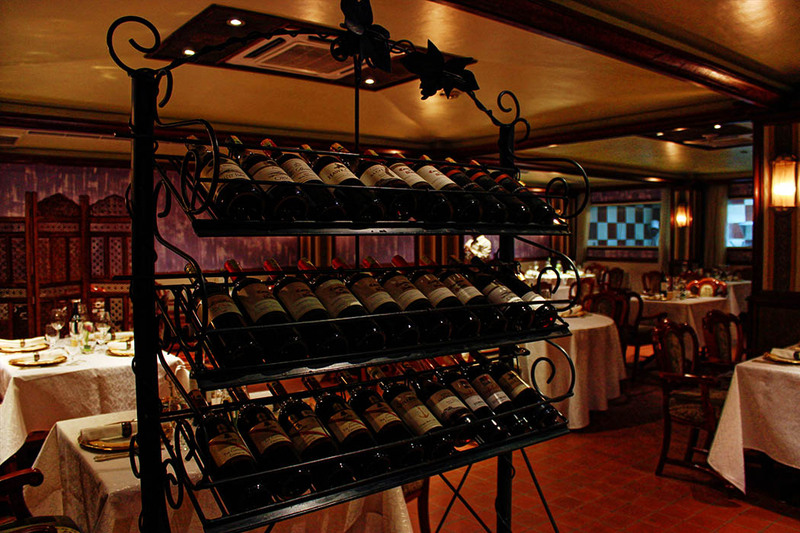 Each table is beautifully set, with a wine bottle at the centre. The waiters were dressed in stylish Indian outfits. The Indian music playing in the background was just right; not too loud, which I appreciated. 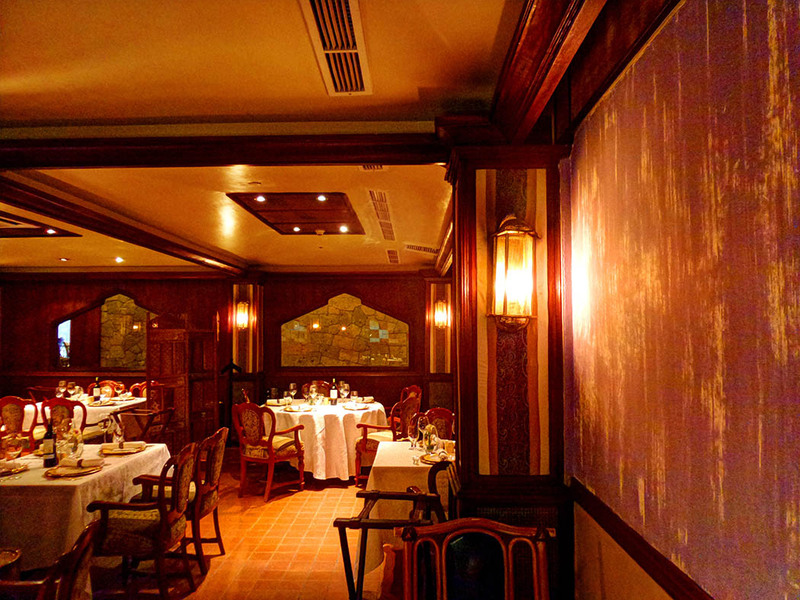 The Indian theme is carried out throughout the décor. 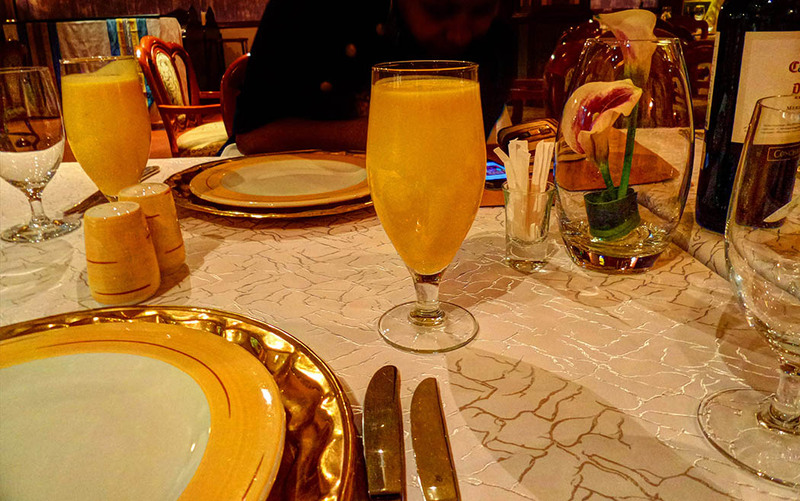 We were first served our drinks, as per the chef’s suggestion – Mango lassi. A lassi is a popular, traditional, yogurt-based drink. Lassis are a blend of yogurt, water, spices and fruit. The lassi was delicious, a perfect refreshment after walking in the Nairobi heat. 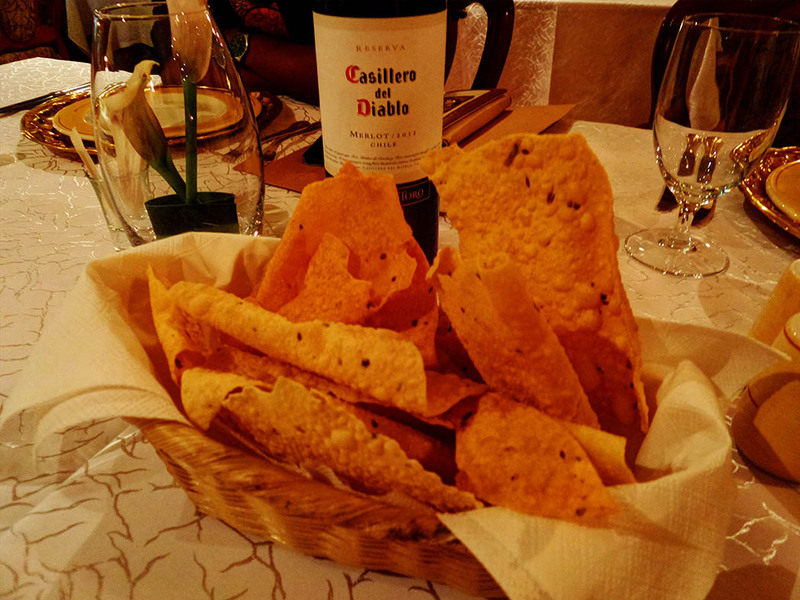 The amuse-bouche, appetizer to literally “amuse the mouth” while we waited for the main course, was a basket of Papadum – a thin, crisp disc-shaped Indian food of seasoned dough made from black gram (urad flour), fried or cooked in dry heat. Flours made from other sources such as lentils, chickpeas, rice, or potato can also be used – and a plate of veggies. 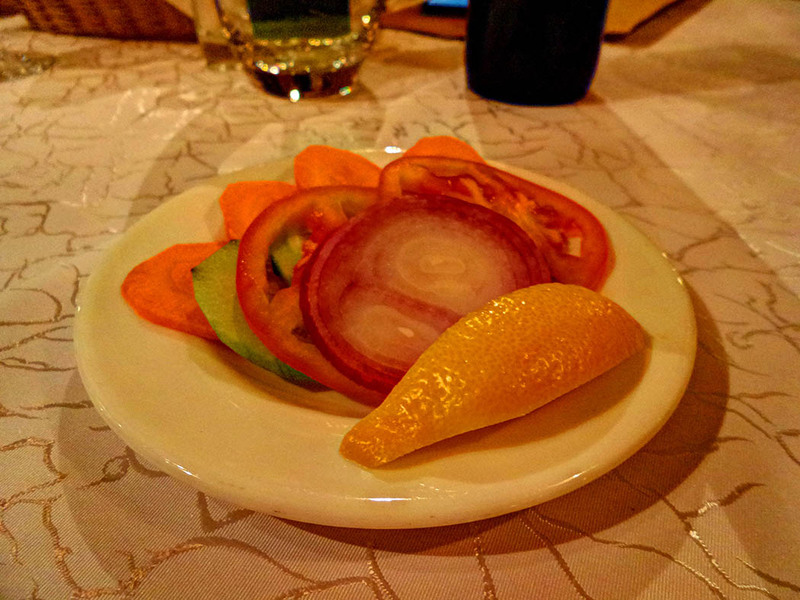 I didn’t enjoy the taste of the papadum and only ate the veggies. From our table we could see our food being prepared in the kitchen and it wasn’t long before the waiter came by with hot towels, and the food was soon served. 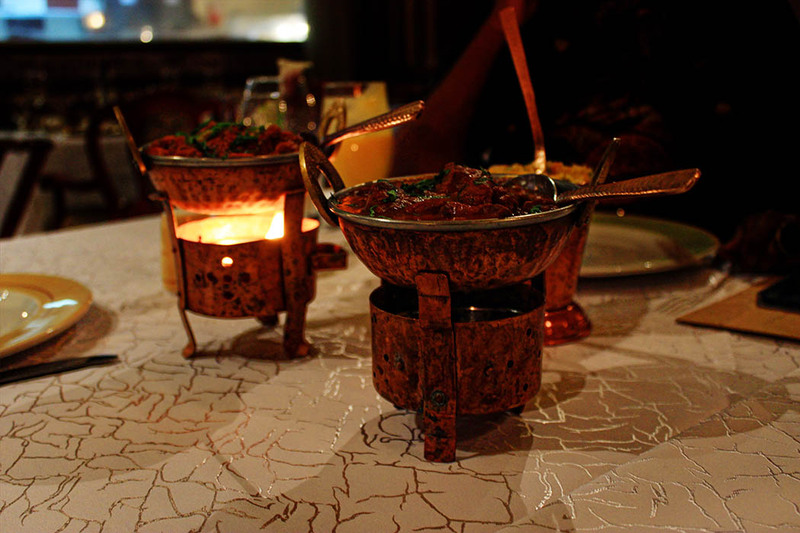 The curries came in metal bowls atop tiny jikos, and the rice was served in a tiny metal bucket. 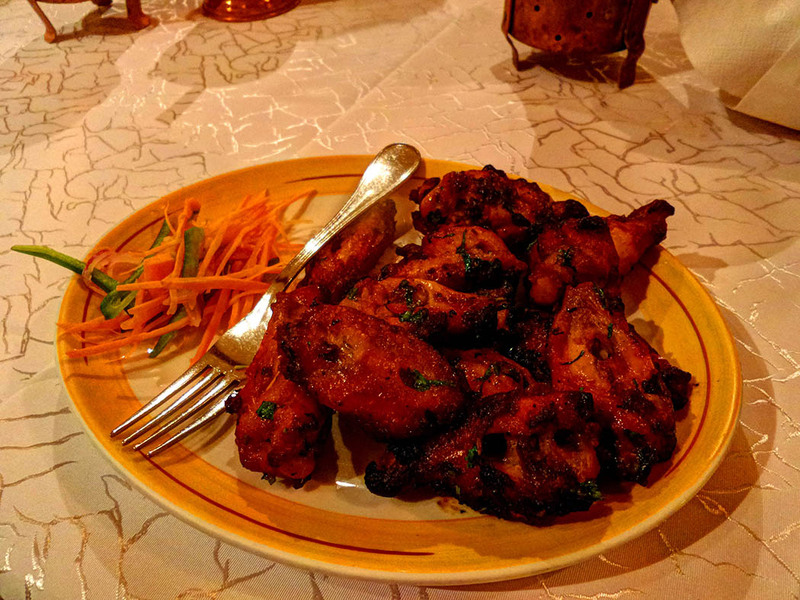 We also ordered a serving of chicken wings, which were beautifully presented on a plate. The butter naan was served in a basket. The presentation was beautiful and the aroma literally had me drooling, if it weren’t for the review I’d have gobbled up the food without taking photos. 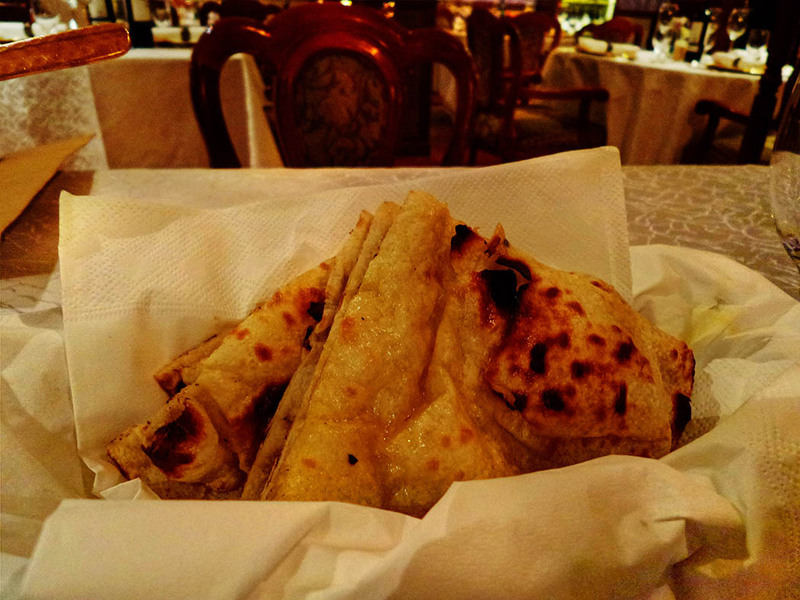 The butter naan (a butter flavored flat bread) was so yummy and soft; the perfect accompaniment to my curry. It was so good that we ordered another serving. The lamb was strikingly tender. The sauce that accompanied it was savoury but not spicy. I had specifically requested that my meal be mild. My brother chose to have the chicken curry, which I tasted but it was far too spicy for my liking. He enjoyed it nonetheless; the spectrum and intensity of flavors were a delight- so he said! I ate to my fill and was nursing a food baby at the end of my meal. 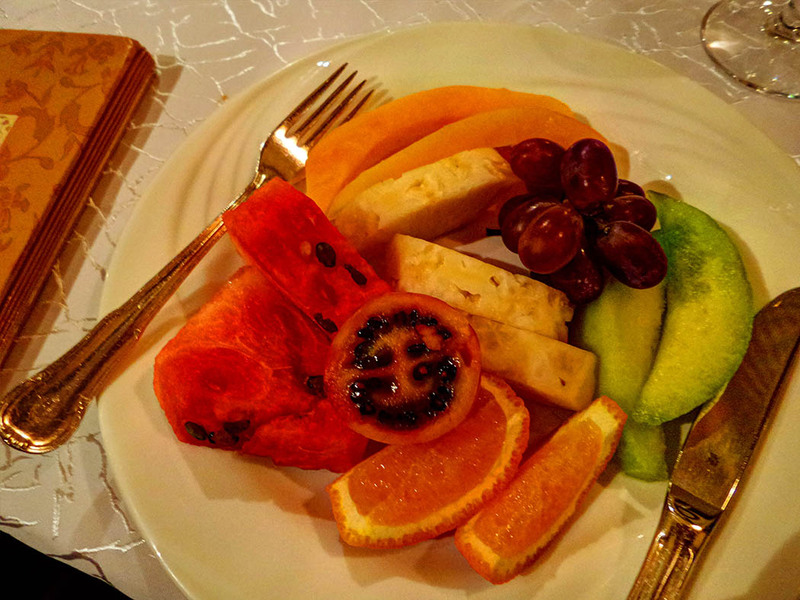 I was so full that I end up taking away my desert(fruit salad). 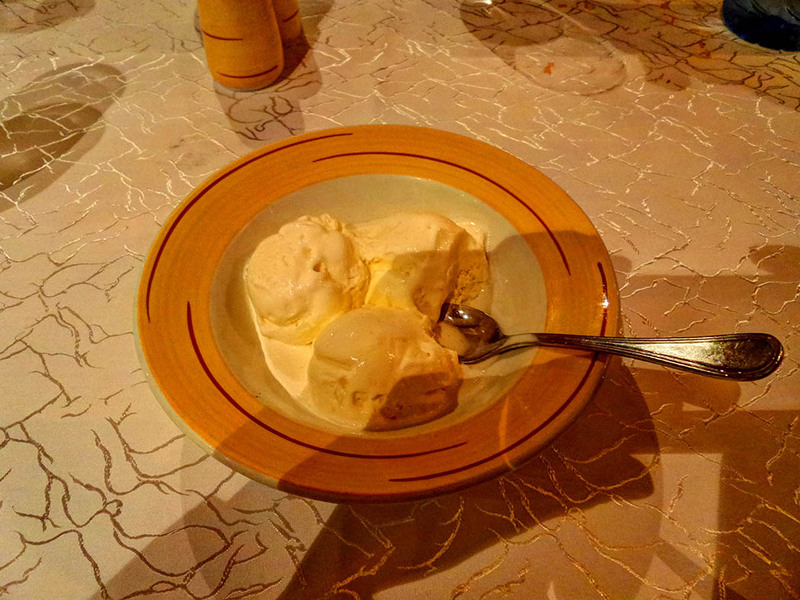 My brother chose to have vanilla ice cream for desert. 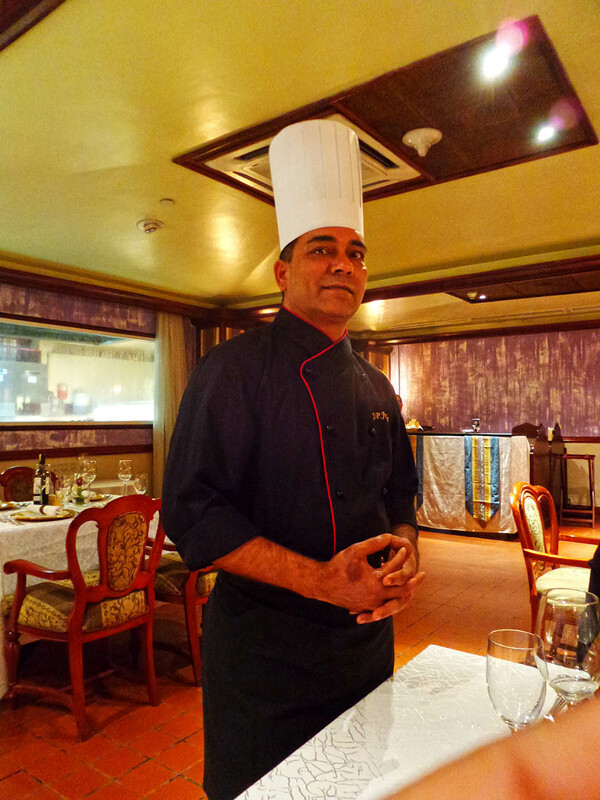 The Chef, Jitendra or JP, is a master of his craft and takes great pride in his profession. He’s been working at Bhandini for the past 10 years. He was very friendly, readily engaged us in chit-chat, and regularly checked on other diners to ensure everybody was satisfied. 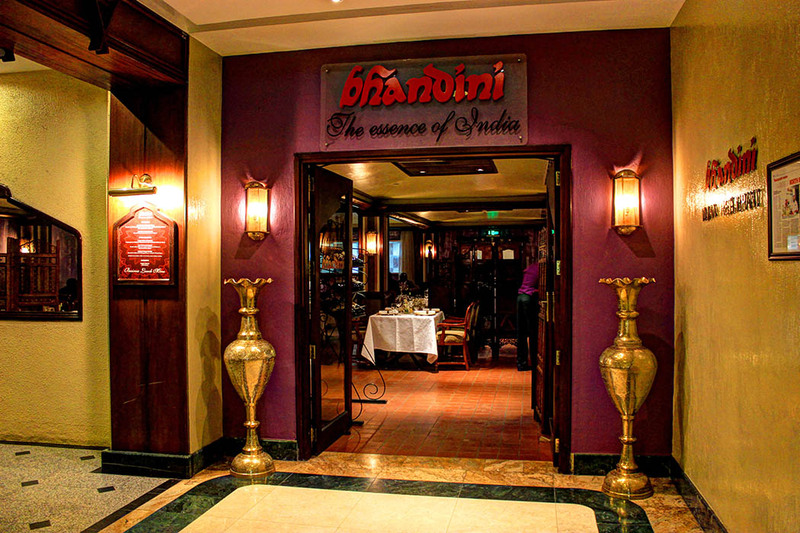 I highly recommend Bhandini, the food is exceptional in addition to the attentive and courteous serving staff. They also know their menu and advise accordingly. Its location in the heart of Nairobi makes it very accessible and all major cab services are to be found at the Intercontinental. The restaurant is open for both lunch (noon to 3pm) and dinner (7pm to 10.30pm) Monday to Friday and only dinner on Saturday and Sunday. 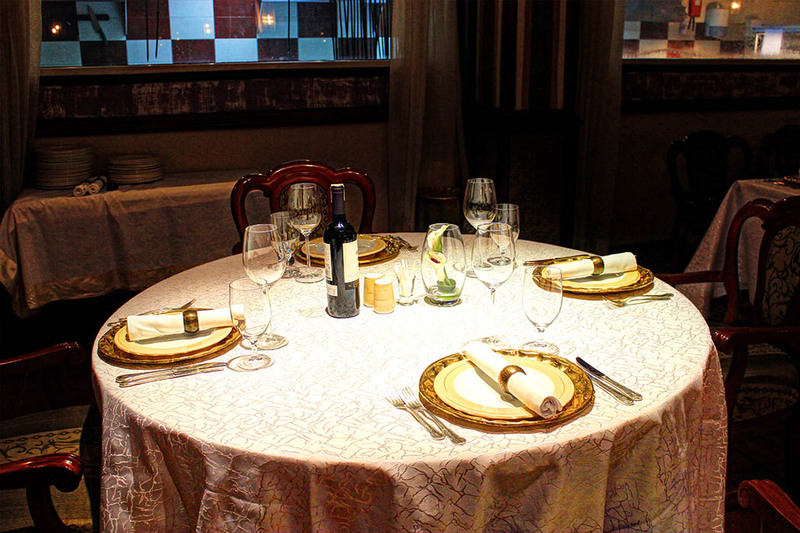 The prices are fair for a high-end restaurant, with items on the menu ranging between Ksh. 1200 ($14) and Ksh. 1800 ($20) for a main dish. I would definitely go back though I would reserve my visits for special occasions simply because of the pricing. All the prices listed on the menu are inclusive of tax. This review would not have happened if it were not for Jackie, thank you very much for your help with everything. So, have you ever been to Bhandini? What were your thoughts? What restaurants would you suggest we review? I would love to read your opinions and suggestions about what I can add or change for future reviews. Leave a comment or tweet me (@safari254) with the hashtag #254reviews. Rachel, I’m definitely heading to Indian food tonight. Your photos have convinced me! 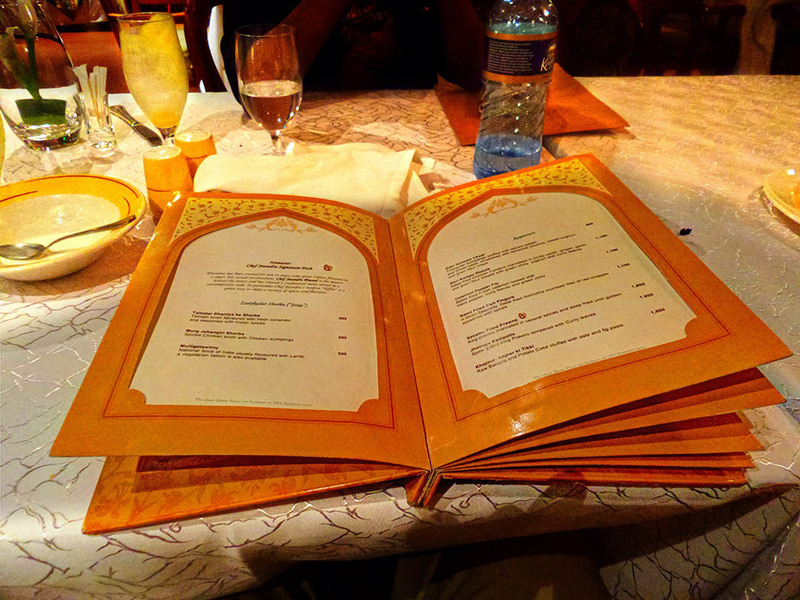 It’s great that you can get it in Nairobi…although when I go I want to try more local dishes. I hope you’ll tell us about some of those restaurants! Thanks for linking up with Weekend Travel Inspiration. See you next week. Man, the pictures! Totes getting Indian for dinner tonight. Looks yummy! I could sure use some Indian food tonight. I found you through #FoodieTuesday and now I’m hungry! I love a good Indian restaurant and it looks like you picked a good one here. 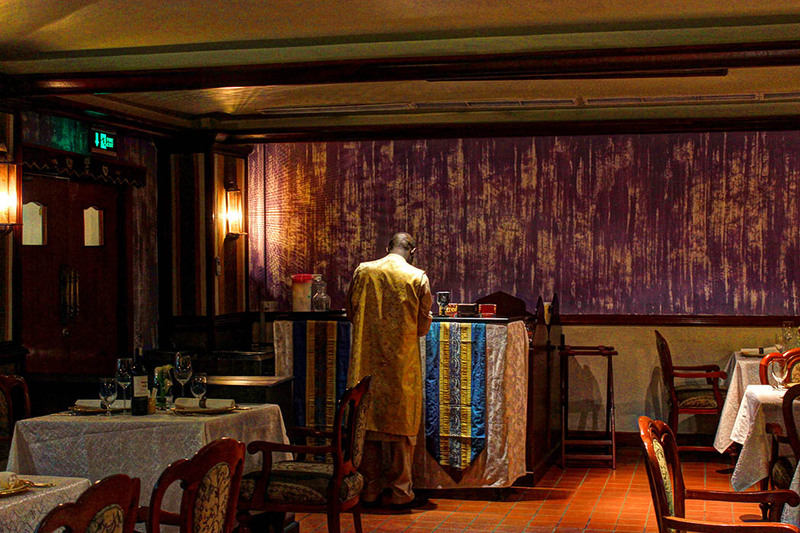 I love that the wait staff wore traditional dress, also how plush the decor looks. I haven’t seen that attention to detail in a while. 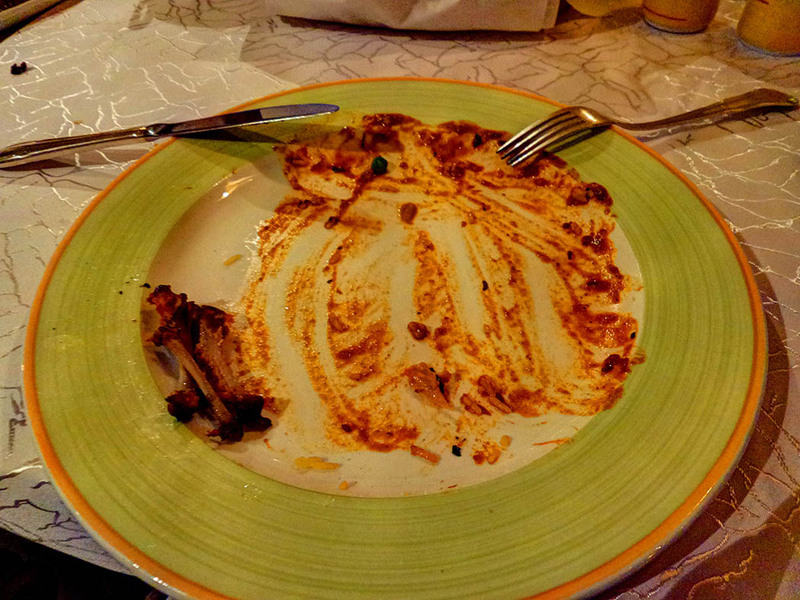 All last week, I had a taste for Indian food but didn’t get round to it until Saturday. 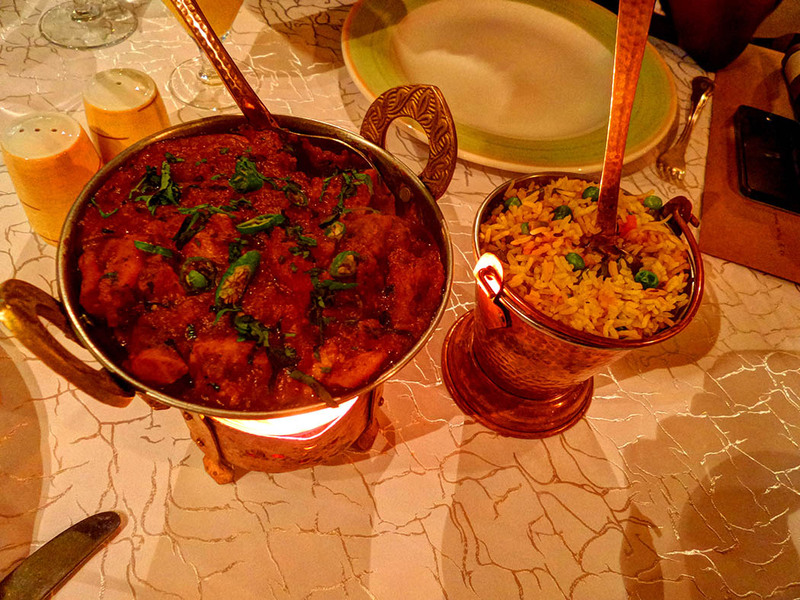 I had a very spicy shrimp curry – the waiter asked how hot I wanted it. I told him a 7 to start. It wasn’t hot enough so he took it back. Finally it was a perfect 8! Thanks for linking up this week, Rachel! I love the idea of adding a restaurant review. Fantastic!!! Oh nice!!! The food looks great, and l love the decor. You had me drooling. Now, l have to find an Indian restaurant… 🙂 Great pictures. What a lovely restaurant! 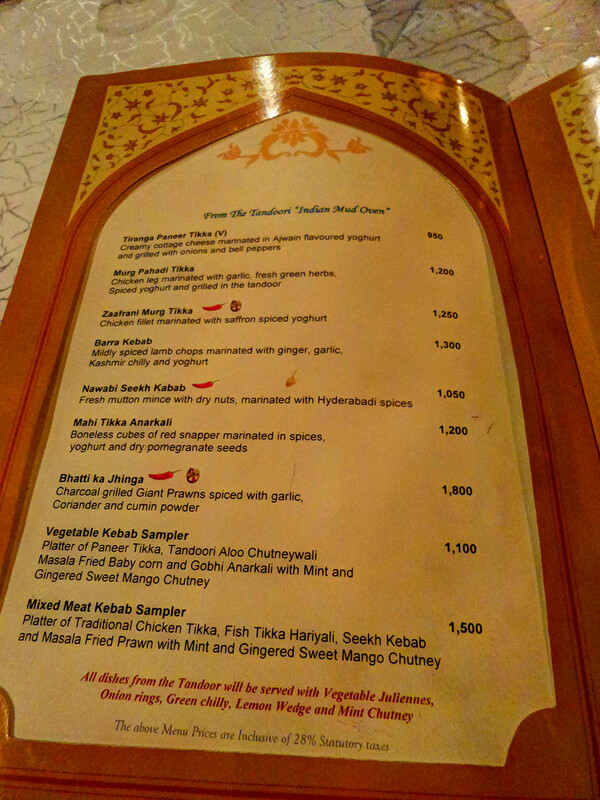 I’m truly in love with Indian cuisine so having a dinner like yours would be my culinary dream come true :-). Now you have me craving Indian food, especially butter naan. I actually like papadums. Indian food something that I miss since we are no longer in Malaysia. I used to have 3 excellent Indian restaurants within walking distance from my house. My belly is grumbling now – everything looks so delicious! 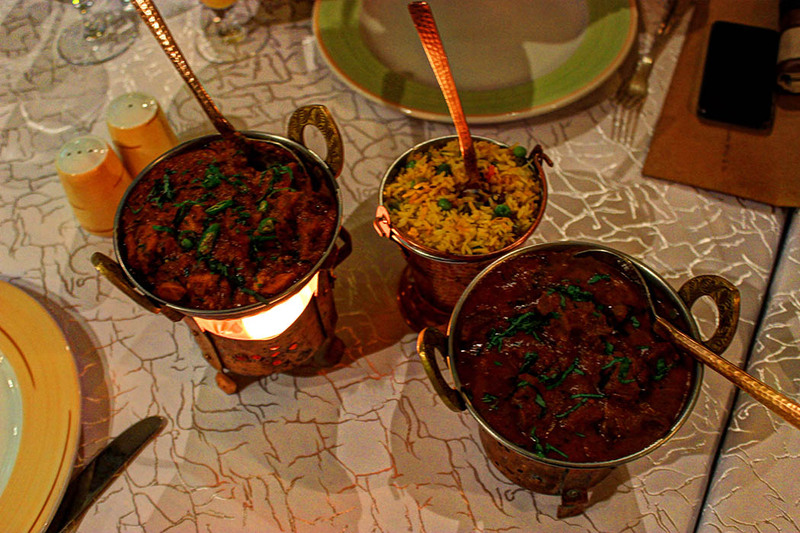 Indian food is one of my faves – they season everything so well. I’m glad that you’re starting this restaurant review series so that I’ll know where to eat when we finally make it to Nairobi. Yum! I’m craving for Indian food too now. It looks fancy but I love the presentation of the food. I felt like I could almost feel the curry smell too. I am such a fan of naan. Great review! 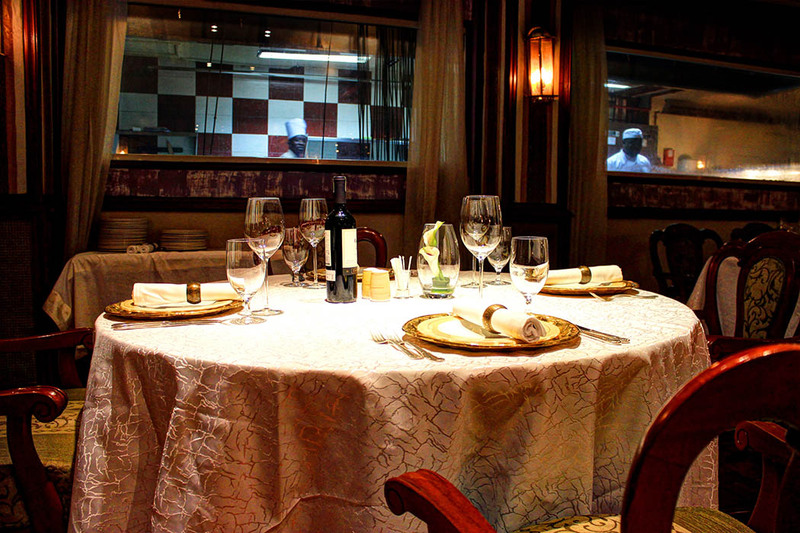 Looking forward to your restaurant reviews especially the local flavors since I don’t know much about food in Africa. I think I gained a pound just reading this post. 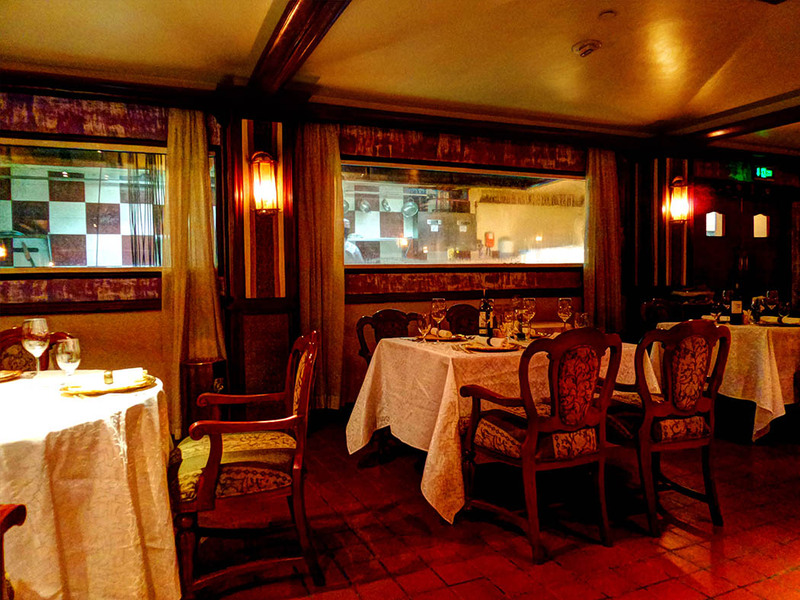 Love your restaurant reviews – keep them coming. Your photos make it seem very inviting. It almost feels as if I am sitting there with you. Great detailed review. 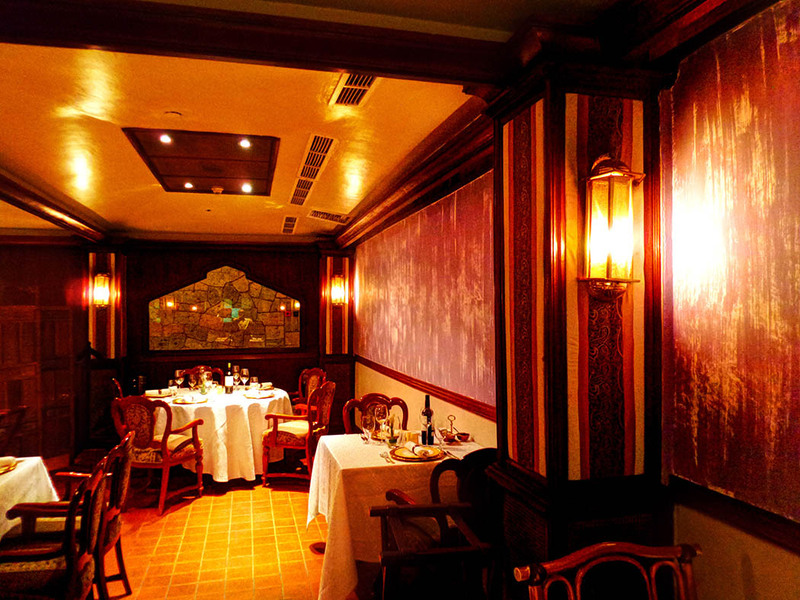 The whole restaurant looks so lovely, I can see why you think it would be great for a special occasion. I love curry and that looks absolutely mouth watering. 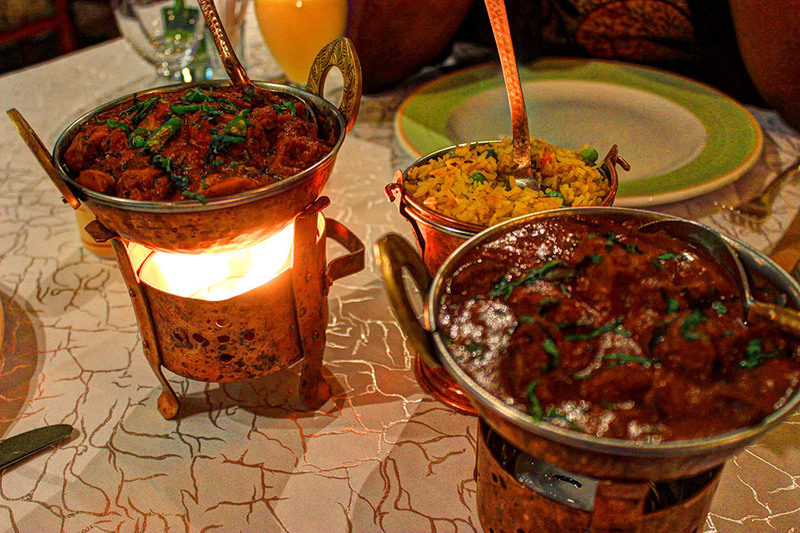 There’s nothing like a lamb curry when the lamb perfectly cooked. Thanks for your review Rachel! I saw this and took my fiance out for dinner here and we both loved the experience! The food was splendid (and we didn’t even manage to finish it! ), their service was amazing and the best part was when they sang for him and brought cake – in such a cool and dramatic way I must add…keep the reviews coming! Delicious recipe at this.Thanks for sharing the article.